The mission of the Austin Creative Alliance is to advance, connect and celebrate Austin’s creative life in order to strengthen our creative economy and benefit the well-being of our community. The Austin Creative Alliance will provide services to individual creatives and creative organizations from all disciplines. 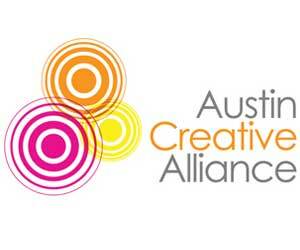 The Austin Creative Alliance will achieve its mission through work in three main areas: Advocacy and Cultural Policy; Marketing and Communication; Membership and Services. Its tools will be conversation, collaboration, convening, research, innovative consulting and technology. The goal is to build an inclusive, transparent and responsive Alliance that can effectively serve and nurture Austin’s vibrant cultural ecosystem.